I love that. 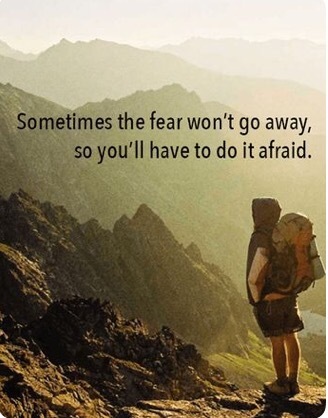 If we wait till we have no fear before we do things, they will never get done. We step out and the Lord makes a way. Great post!